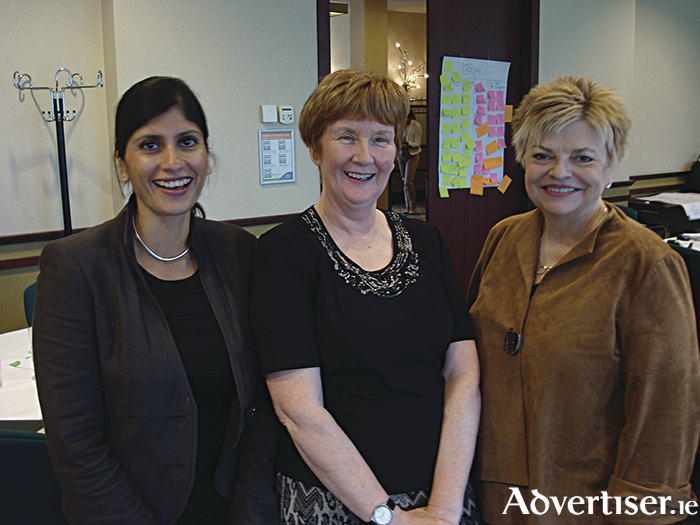 APICS partner meeting in Amsterdam: Bernie Ferris of Western Management Centre with Radhika Jensen (APICS) and Derinda Ehrlich (APICS). With the start of the new academic year now is the time to be thinking about updating or adding to your skills set. It is always good to review your job, career, and personal goals and decide what direction you want to take. Taking a course offers many benefits including acquiring new knowledge, the challenge of learning, the recognition it brings, and the sheer thrill of learning new things. So why not stop thinking about it and sign up for a course today. Contact the Western Management Centre to review one of the many accredited courses on offer. The centre has more than 30 years’ experience working with individuals and organisations to achieve their personal and business goals. The evening courses now starting are the award in business management, employment law, public relations, basics of supply chain management, and production and inventory management. If you would like to pursue a career in accountancy then the ACCA certified accounting technician course will start you on the road to a very worthwhile career. All courses meet the challenges of an ever changing society and employment landscape. These high quality, globally recognised, courses are delivered in a modern educational environment by a highly qualified team of trainers. The centre is also the venue for the highly practical diploma in digital marketing which is delivered by Irish Times Training. The centre continues to offer its full range of day, evening, and part-time courses covering all the key business disciplines including Safe Pass, manual handling, manual handling instructing, team leading, training delivery and evaluation, project management, occupational first aid, abrasive wheel course, and fork truck certification.